A story told by my husband Stuart, warehouse worker and shop tinkerer. I was in 5th grade. My teacher was Mrs. Bowman—a great teacher, just ask my brothers. She had the typical pencil sharpener of the early 60s in her room. I was always delighted for an excuse to leave my desk, walk to the pencil sharpener, slowly make a dandy point, and ease on back to my seat. We had to ask permission. Then the pencil sharpener stopped working and after repeated tries to figure out what was wrong, Mrs. Bowman decided to order a new one. 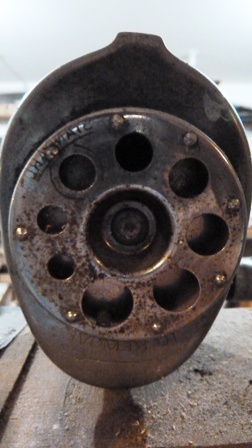 When the new one came, she was just going to trash the old pencil sharpener. I asked if I could have the old one. Mrs. Bowman said sure. I was thrilled. We didn’t have much at home. We made our own entertainment. I carefully carried it home, took it apart, cleaned it out good, tinkered with it a little, and without too much trouble got it working again. When my wife and I moved to our first home I built a rolling tool stand in the basement and fastened my sharpener to the top. Our daughters would go to the basement to sharpen their pencils to do their homework. I now have that tool cart in my garage where I still pause and carefully sharpen my pencils. There is something very satisfying about a nicely sharpened pencil. 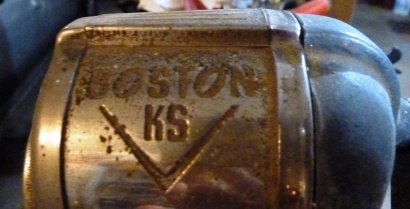 The vintage Boston sharpener has a wooden sleeve on the handle rather than plastic. When Mrs. Bowman gave me that pencil sharpener, I felt like a million dollars. What’s a memory of a favorite teacher? What excuses did you use to get up out of your seat in a classroom? Did a cast off item ever become your treasure? Were you, or your spouse, good at fixing things no one else could fix, or wanted to? I’d love to hear your tales! For more stories, visit my Another Way Newspaper Column’s home base on Third Way website. 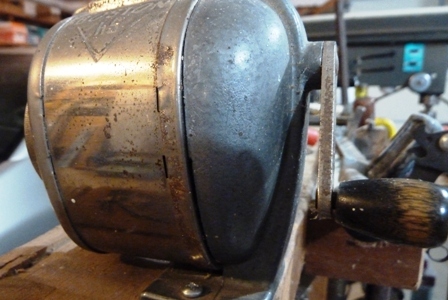 I have always savored the fragrance of fresh wood sawed off by a pencil sharpener’s grind. The smell is sharper than the memory just now. Thanks for the walk down memory lane, Melodie. Wow did you put your nose on a vivid recollection as well, Marian. As soon as I read your words, I whiffed your memory. What an under-appreciated sense we’ve been given, eh? Thanks for cueing in on this. I remember that we finally goto ne of the same type, for at home. My Dad mounted it on a small piece of board, and it stayed somewhere in the kitchen! Thanks for posting that dear photo of Stuart. 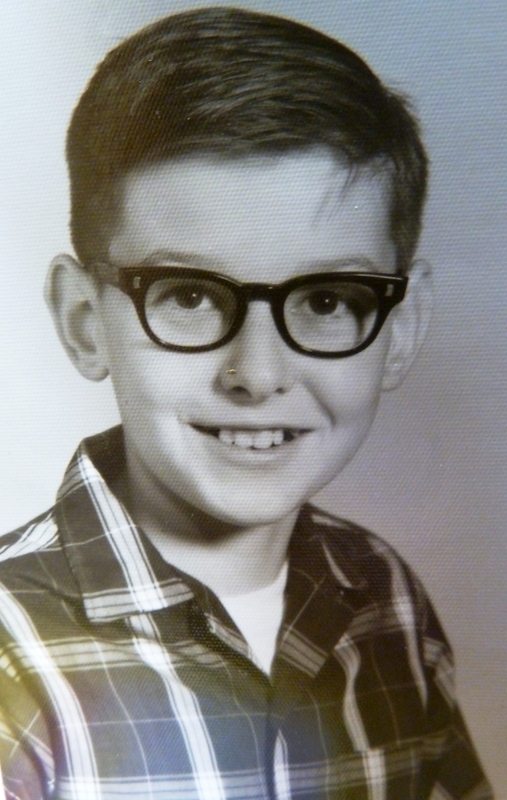 It is nice to know what he looked like as a child! Thanks for your memories, too, Bev. Glad you enjoyed Stuart’s photo. The ones of him before glasses are really cute but I thought this one better matched his age at the time, although likely 6th grade rather than 5th. I enjoyed this story Stuart ‘s story of how he has kept the sharpener reminds me of how my husband would do something like this. He had them for years at our house mounted on the wall even though they no longer worked. I am sure if I were to look in his new man cave at our new house I would find them somewhere on a wall. So many kids of earlier times enjoyed these methods of staying in touch between buddies with their own invented communication systems. It is perhaps easier today–texting etc.–but the inclination and desire for “social media” remains the same! After we get him sorted out, I have a quick look around and then head out, as there is just too many things there for me to deal with ! LOL! This is his baby!